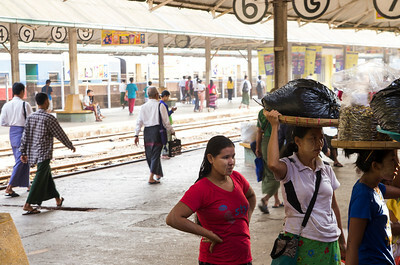 Yangon Circular Railway (Burmese: ရန်ကုန် မြို့ပတ် ရထား [jàɴɡòʊɴ mjo̰baʔ jətʰá]) is the local rain was built by the British in 1954. 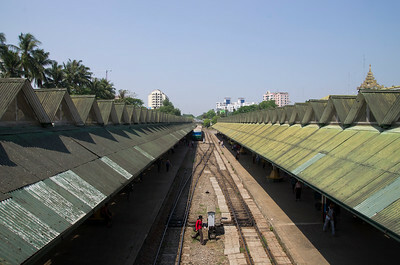 It covers a railway track loop of 45.9 kilometers and stops at 39 stationscommuter rail network that serves the Yangon metropolitan area. Loop system connects satellite towns and suburban areas to the city. 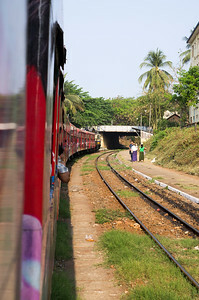 Railway has about 200 coaches, had 20 daily runs, and sold 100,000 to 150,000 tickets daily. 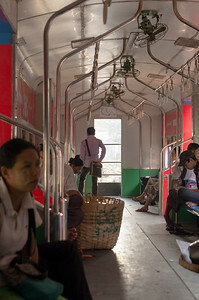 The loop, which takes about three hours to complete, is a way to see a cross section of life in Yangon. 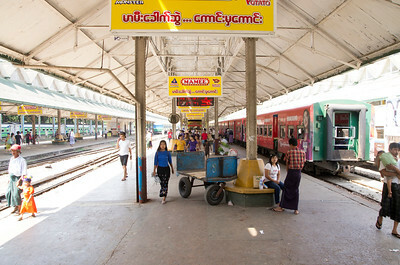 The Railway is heavily utilized by lower-income commuters, as it is (along with buses) the cheapest method of transportation in Yangon.